Post Update 6/24/2015 - Check out Tinsel & Tine in action at Marvel Experience (#tmxPhiladephia) Opening Day! Update: 6/16/15 - The contest is over but you can purchase tickets to this Marvel Universe Experience - Note: date change from 6/19/15 to opening in Philly 6/24/15. 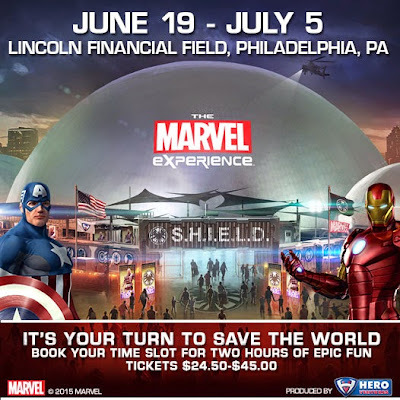 Special Events - Tuesday, June 30th - COSPLAY DISCOUNT: anyone showing up at the Lincoln Financial Field box office (XFINITY Gate) btw 6- 8pm wearing anything Super Hero related can purchase tickets for only $30 (a savings of almost $20 per ticket). These tickets can only be purchased at the box office that night. Tuesday, June 30th 8pm until - AFTER PARTY Victory Beer Hall at XFINITY Live! Marvel movie will be playing and Marvel-themed drinks for those 21 and over. Everyone is invited! Become a part of THE experience. You will smash villains as Hulk, fly as Iron Man, shoot energy beams with Vision, and scale buildings with Spidey! Your journey will take you through the amazing 3D 360 degree Stereoscopic full-Dome projection theater before taking flight in the thrilling motion ride. S.H.I.E.L.D. 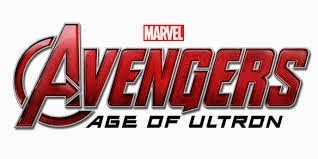 has assembled Marvel’s Avengers to battle Red Skull and HYDRA and they need your help! Become part of this 'all ages' immersive experience at the world’s first ever Super Hero Recruitment Tour! Important! The winning tickets are ONLY GOOD FOR Friday, J​une ​19, 2015 at ​3:00p​m OR Friday, June 19, 2015 at 3:30pm. Winners will receive an e-ticket with the time imprinted. In order to control the lines, the Marvel Experience organizers are strictly adhering to ticket times. I suggest you arrive early for your appointed time. (no exchanges). You will find yourself in "hyper-reality" as you walk through seven large domes, each will unfold a new part of the show's storyline. During the experience, you'll see Marvel favorites like Captain America, Iron Man, Black Widow, Thor, Nick Fury...and even a few heroes we haven't yet seen team up with The Avengers in Marvel's Cinematic Universe, like Spider-Man and Wolverine.